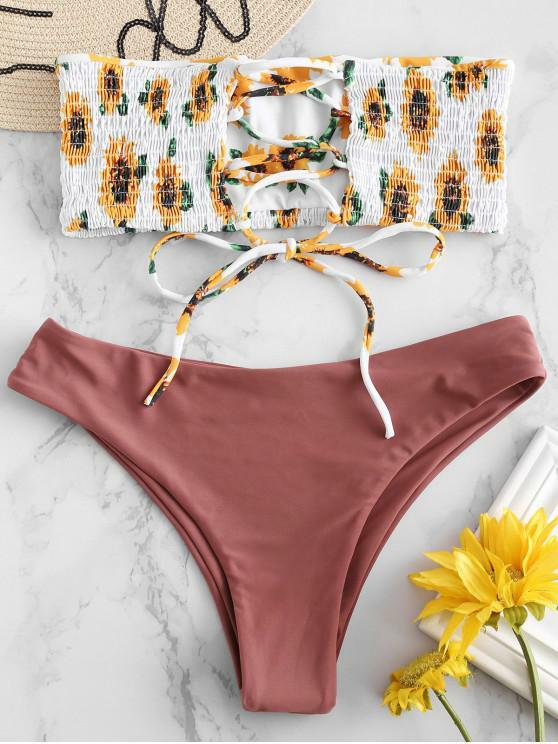 Covered in a vibrant-toned sunflower pattern, the smocked top is cut with a bandeau silhouette and turns to lace-up detailing at the center, and the matching bottoms are a simply classic silhouette. I love this suit! The top is totally reversible also (if you rip of the tag like I did!) it’s super cute both ways! Comfy and gives me good support for a bandeau! I’m usually M in suits and that’s what I ordered! 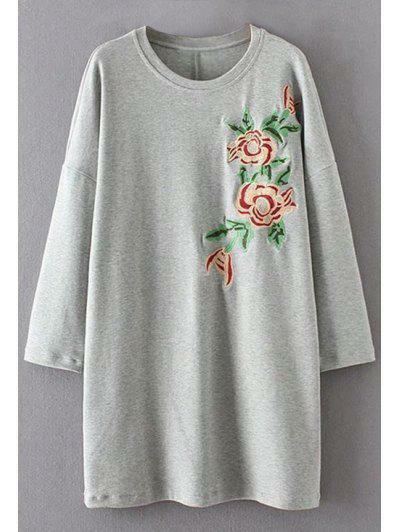 Super flattering and amazing material for price!